Katsura Reiki Soaps will be in Lindsay on Wednesday July 6th selling soaps, bath bombs, lip balms and bath salts. 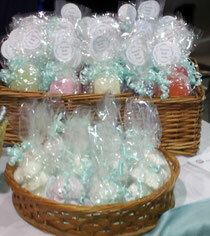 Stop by our booth and see our new soaps for the season! The show starts at 9am to 5pm we hope to see you there! I have now uploaded photos and descriptions of my new soaps: Vanilla, Lime and Lemon Meringue along with the Lip Balms -coconut and raspberry.